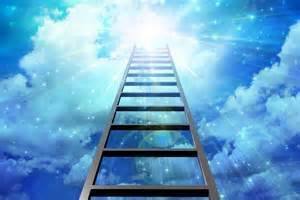 As you progress up the spiritual ladder, learning to be more loving, selfless, and less materialistic, you may move out of the earth’s sphere as your training ground. Spiritism has revealed to us that there is a progression of worlds. The earth is a planet of atonement, where a relatively immature spirit is sent to rid themselves of their rougher edges, such as the baser emotions of envy, hate, and a thirst for revenge. Once one has reached a spiritual plateau, or, more precisely, graduated from requiring a planet of atonement to remove baser characteristics; a different instructional campus is mandated. 985. When a soul is reincarnated in a world less gross than the earth, is such a reincarnation a reward? In worlds in which the conditions of existence are less material than in ours, the wants of their inhabitants are less gross, and their physical sufferings are less acute. The men of those worlds no longer possess the evil passions which, in lower worlds, make them each other’s enemies. Having no motives for hatred or jealousy, they live in peace with one another, because they practice the law of justice, of love, and of charity and they therefore know nothing of the worries and anxieties that come of envy, pride, and selfishness, and that make the torment of our terrestrial existence. Hence, as a student progresses from an elementary level to a middle school level, we too advance to different learning institutions. In our case the campus is an entire planet. As an added bonus our physical form will alter, ranging from slight alterations of the human form to more dramatic. In our new place of learning, we shall encounter a more gentile atmosphere, an environment conducive to intellectual growth instead of targeting the transformation of our emotional and moral states. Learn what the hurdles you encounter really mean, discover through the trials you have suffered through what attributes you need to work on to reform your bad habits and internalize your positive characteristics by reading The Problem is the Solution: 7 Life Complications Sent to Test and Teach You.